Instant Family is a must-see comedy family film! Directed by Sean Anders (Daddy's Home and Daddy's Home 2) and written by Sean Anders and John Morris. When I was asked to write a post, a sort of a Parental Survival Guide, I was hesitant. 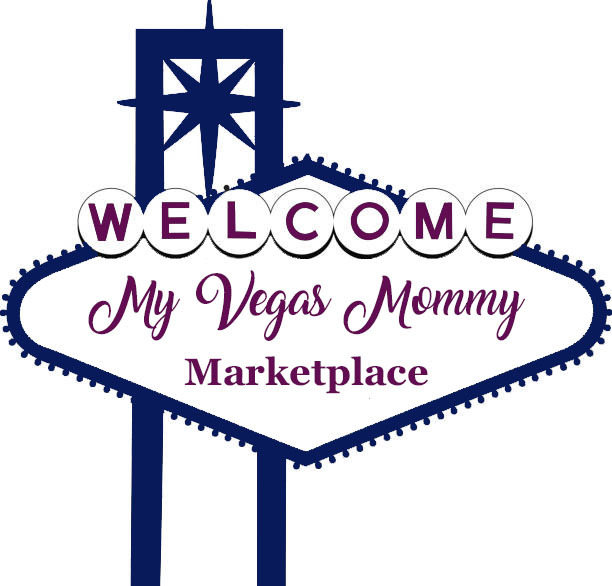 If you know me well or have been reading My Vegas Mommy for a long time, you know that this isn't a parenting advice blog. I believe that everyone has their own unique experiences and sometimes I find as moms we can be so hard on ourselves when people share their stories because we tend to compare and critique our own shortcomings. So, let me first say...this is a judge-free zone. You are amazing if you are reading this and I hope that we just share the commonality that we are in this together. 1) Don't blame yourself for your child's behavior...whether it is good or bad. You can lead them to the water, teach them how to fish...but ultimately it comes down to their choices. So, don't take that on as a reflection of yourself or your parenting. 2) Breathe...I tell myself this all the time. When you get frustrated belly breathe. I saw this in a Sesame Street film for kids called Monster Manners, on how to help control frustration...it works. It is like a time out. And if you still yell, they will survive. 3) Take your oxygen first...a great read and advice by Leeza Gibbons. She wrote a book with the same title and it was more focused on protecting your health and happiness when caring for a loved one with memory loss and let's face it...it is just sound advice. And the kids have their own memory loss at times. Just like the airlines, you have to take time for yourself, so you can care for the one next to you. Don't feel guilty that you need a girl's night out, date night or just want to escape in the bathroom for 15 minutes. 4) Love one another. I think this comes naturally as there is really no other love like the one you share with your kids, but sometimes we have to remember that in the hard times just speak, act, show love to each other it will get you far. 6) Ask for help. When we lived in Oregon, we had no family, just a few friends and thankfully we could count on some of them to have our backs...but I learned it takes a village and that is no joke. So, don't feel guilty asking for help from your parents, in-laws, friends, other relatives. Just return the favor some day to someone. 7) Don't sweat the small stuff. It is cliche I know and it still made this quick list because it holds merit. My mom, used to tell me when I was younger that, "this isn't even a spark in the light of eternity". If you believe in a higher power, than it is a little easier to wrap your head around this concept. But, even if you look at you life on a timeline with an end, it is true. Pick your battles, it is all relative. I know sometimes they seem ginormous and never-ending, but really...they are not. It will pass, time has a way of changing things like that. 8) Have fun. I think sometimes we can easily get caught up in parenting, adulting...it's hard work. But, remember to have fun with your kids. Do things they like, fortnite...if that is what it takes, but most of all have fun. Those happy times will comfort you later when things are hard. I heard somewhere that kids equate love to time, so like number 5...unplug and have fun. 9) Follow your gut. There have been so many times that I just followed it and I can say about 90% of the time it worked out. My twins have food allergies and during an episode I had the paramedics tell me that my son was stable and didn't need to go to the ER. I remembered stories and relied on that gut instinct and I advocated for him to go anyways. Long story, but the short was...if I hadn't have followed my gut, he would have died. 10) Accept the word No. Learn how to say no when you need to whether it be to yourself or your kids. Don't try and be everyone's everything. I had a great upbringing, I was fortunate...but I also kind of believed that I could have it all. As I got older, I learned that it wasn't quite true, you can but timing is everything and you just cannot always have it at the same time. So, I had to learn to say no to myself, spouse and to the kids. Whether it is volunteering on a project, going to an event, buying something. If I am being honest, I still struggle with this one the most. But, I am learning the power of No more as the years go by. I hope this list is something you can relate to or take a piece of advice from and mold it to your life. And for those of you out there that tackle parenting whether by choice or circumstance, may the force be with you! 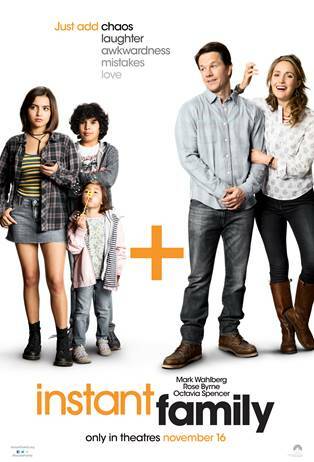 Take the family to see Instant Family this holiday season, it is a funny heart-felt witty take on fostering that the whole family will love. Look for our interview post tomorrow, 11/15, with writer/director Sean Anders.